The Leeds & Liverpool is a most extraordinary canal. It's very long, and it brought great prosperity to many towns along its route, which still show the marks of the textile industry it served - wool on the Yorkshire side, cotton in Lancashire. These mill towns have endless fascination as you float past, sometimes in amp;deep cuttings, sometimes on high embankments. In between the towns are miles of countryside, usually with stunning views of the Pennines. 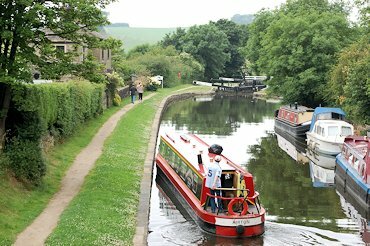 The middle section, on the edge of the Yorkshire Dales National Park, deserves its place as one of the most beautiful canals in England. Here you drift along, with rolling hills, stone walls and handsome barns and farms rooted in the landscape. You can moor up and hear nothing but surround-sound sheep and birds. Then you can visit friendly pubs, small villages and towns. 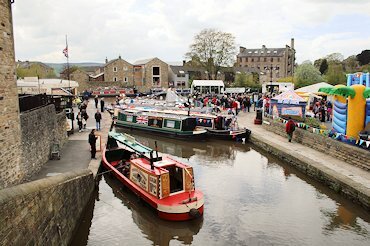 In Skipton, there is a highly romantic castle, a busy market and an endless variety of shops. 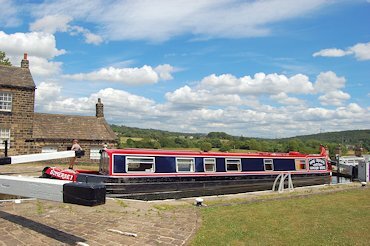 Within easy reach is Bingley 5 Rise Locks, one of the Seven Wonders of the waterways; a visitor attraction in its own right, if you go through the flight you will find yourself a living part of the exhibit, under rapid-fire instruction from Barry, its famous lock keeper. The canal now heads down, through a series of smaller staircases, to Leeds. Along the way, stop to explore Saltaire, which is - till you've seen it, improbably - a World Heritage Site. It consists of the mills built along the Aire by Sir Titus Salt, together with the model town he built for his workers, including a church and other improving institutions. All was of course very strictly temperance, and to this day there are no pubs in the original village. The streets are named after Titus Salt's children. If the whole enterprise sounds to modern ears insufferably condescending if not monomaniacal, then just consider the sheer architectural quality - by which I don't mean the exquisite decoration so much as the advanced use of space and light, and high quality of construction, which must have seemed Paradise to contemporary workers, and have endured to make both mills and houses so sought after today. Add to the exotic architecture the fact that the whole thing was founded on the wool not of Yorkshire sheep but of Andean alpacas: this is mohair town. Now you have two ways to discover the edge of the Dales: you can take either an out-and-back holiday or a one way trip. 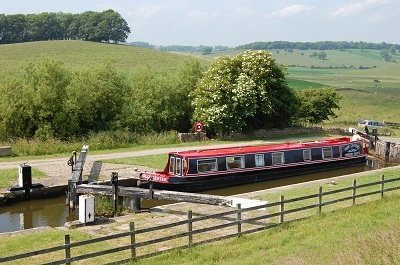 Our base is at Lower Park Marina, Barnoldswick (see Find us page for details), on the summit of the Leeds & Liverpool Canal. From the moment you start you are heading away on a journey of real discovery. Linking Liverpool with the Humber ports, building this canal was a stupendous undertaking. The Aire & Calder had been navigable to Leeds for a long time, but west of Leeds there were only muddy and bumpy tracks. Crossing the Pennines made it even worse, so the carriage of goods over any distance was difficult, exhausting, slow and desperately expensive. Imagine, then, the enthusiasm when the first meetings of the promoters of a canal from Leeds to Liverpool were advertised, and the rapidity with which money was subscribed. When the canal was part built, the company ran out of money. 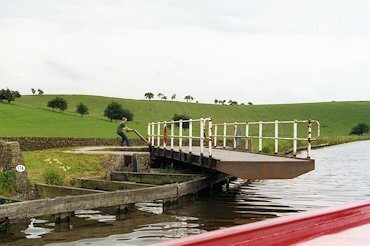 The position was rescued by an agreement with the similarly struggling Lancaster Canal, and the routes of the two canals were partly merged. This explains why the western part of the canal seems unsure where it's going. A year or two ago a lady boat owner we met in a lock gave us three pieces of advice. 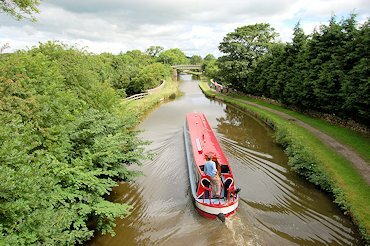 'Try cruising on the Leeds & Liverpool, do it in August because it will still be quiet even then and when you do hire from Shire Cruisers'. She was right on all three counts. Pleased we had a look at the Leeds and Liverpool, very surprised how quiet it was - actually quieter than a cold March in Braunston! Most of all however very pleased we booked with Shire Cruisers. It was the most comfortable and convenient boat we have ever hired despite not being the longest. Furthermore it made a huge difference to have what felt like one to one service from Colin both at the start and finish of our trip.